Call A to Z Entertainment, Inc. today for free information about how to hire or book Christian and Gospel music singer, Mandisa Hundley. With over twenty years of successful experience, we are your best agent and agency for booking and hiring contemporary Christian and Gospel music singer Mandisa Hundley! We book or help you hire any live entertainers you want, to include – Gospel and Christian musicians, singers, and live bands. We can also help you plan and produce your event or show, so call us today at 888-655-4575 and we’ll be happy to help you. Advice is always free from A to Z! Mandisa Lynn Hundley (born October 2, 1976), professionally known as Mandisa, is an American gospel singer and was a finalist in the “fifth season” of “American Idol” in 2006. She auditioned for the United States talent show “American Idol” in Chicago. She referred to herself as “just Mandisa,” and was billed simply as Mandisa, without a last name. She was a backup singer for Christian author and speaker Beth Moore. Mandisa’s first full-length album “True Beauty” was released in July 2007. She released her first single, “Only the World,” in May 2007. The song had a successful debut on the Billboard Hot Singles Sales chart, which tracks commercial single sales, debuting at #2 and reaching #1 the following week. It is also getting major airplay on Christian music radio stations. Her second single “God Speaking” was released to Christian music radio in October 2007. A third single, “Voice of a Savior,” was issued in mid-2008. “True Beauty” debuted at #1 on the Top Christian Albums chart, making it the first time a new female artist has debuted at #1 in the chart’s 27 year history. It also debuted at #43 on the Billboard 200 Albums chart. Mandisa also garnered a Best Pop/Contemporary Gospel Album Grammy Award nomination for “True Beauty” in December of the same year. 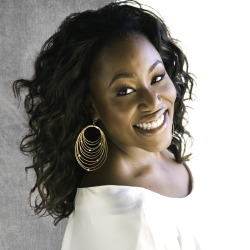 In November 2007, Mandisa released a holiday EP, “Christmas Joy EP,” which features the song “Christmas Makes Me Cry,” a duet with frequent collaborator Matthew West. Earlier that year, Mandisa also recorded “Christmas Day,” a duet with Christian recording artist Michael W. Smith. “Christmas Makes Me Cry” peaked at #2 on Billboard’s Hot Christian AC chart, stopped from reaching #1 by her duet with Smith, “Christmas Day.” It was the first time in the history of the Christian Singles chart that a solo female artist was featured on the top two singles at the same time! In October 2008, Mandisa released a full-length Christmas album, “It’s Christmas.” Three of the songs from the “Christmas Joy EP” were featured on “It’s Christmas,” including “Christmas Makes Me Cry,” as well as several new tracks. Her second album, “Freedom” was released in March 2009. The album debuted at #83 on the Billboard 200 and reached #4 on the Christian Albums chart. It was nominated for the Grammy Award for Best Pop/Contemporary Gospel Album of the Year. Her third album, “What If We Were Real,” was released in April 2011. It debuted at #66 on the Billboard 200 and at #2 on the Christian Albums chart. We can help you book or hire any Gospel or Christian musicians, singers, bands, or artists. We’re your best agent and agency for booking and hiring contemporary Christian music artist and gospel singer Mandisa Hundley. Call us now at 888-655-45755 and we’ll be happy to help you. A to Z Entertainment, Inc. is not the exclusive booking agency for any live entertainers on this site.